This time around the Bank of Japan and the People's Bank of China appear to not be following the Fed. I do not know if that is enough to make a difference for the global economy. The Fed says it wants higher unemployment and lower real GDP growth... They may get what they're wishing for. 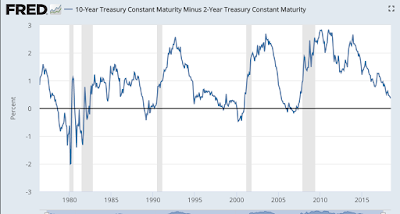 An interesting suggestion from Warren Mosler's blog several days ago: "...the Fed has it backwards. 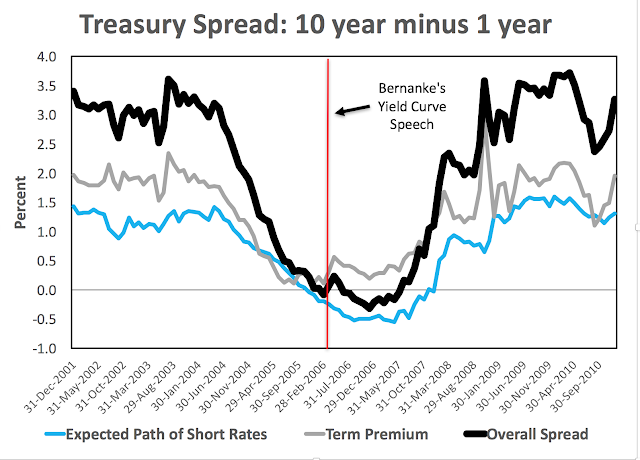 They think they are stepping on the brakes when they are stepping o the accelerator with regards to the economy and inflation." With these kinds of stories, I wonder if it's like turning on the windshield wipers to try to make it rain. 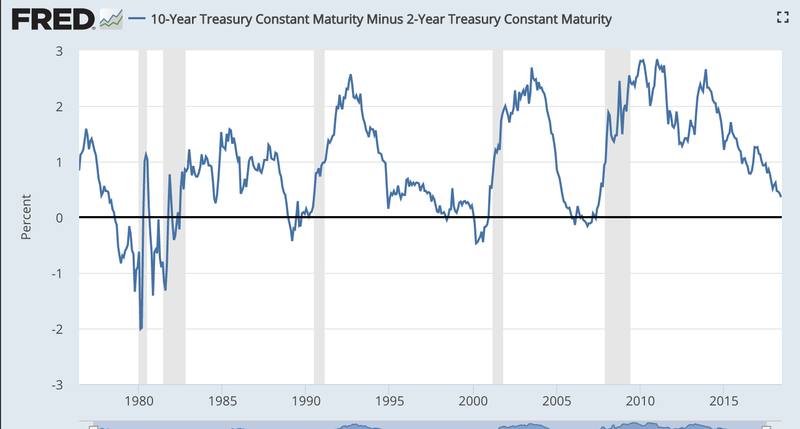 Is it that in the past the yield curve inverted because businesses were afraid of future events and trends, providing a good measurement, but now we want to manipulate what used to be a good measurement, thinking it will change the future? 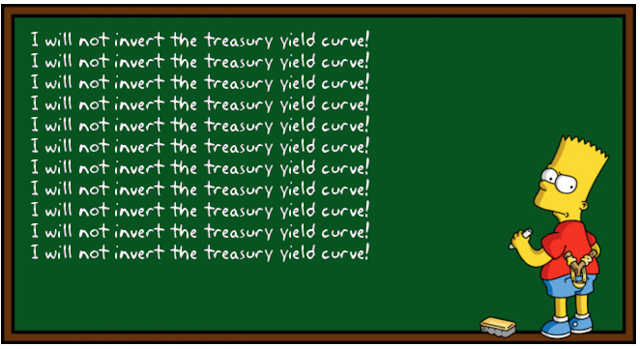 Kudlow mentioned that the Fed should be wary of increasing rates and got slammed. Also, the post never really mentions the direction of causality. Current Fed comments and Bernanke's 2006 comments suggest the inverted yield curve is preventable but ignored. Is that a new development? Were past inversions sudden and the Fed did the best it could to keep up? It is not relevant for predictions insofar as the Fed hasn't learned from its past mistakes. Feldstein's 2007 Jackson Hole speech suggests the Fed rarely cuts rates fast enough.